Download the source code of WordPress. Create a runnable version (build version) of the source code. Cloning the WordPress Develop Git repository to local. Checking out the 5.0 branch in the WordPress Develop Git repository. For this step, you need to have Node.js & NPM installed on your local machine. You can download an installer from the Node website that contains both tools. This changes WordPress from being a monolithic application to a more modular approach. In fact each package represents an independent module, that could also be used in other applications, not just WordPress. The package.json file indicates the packages, along with their desired version numbers, that should be downloaded from NPM. The dependencies key in the package.json contains the list of packages needed for the application. Without these, the application will not work. The node_modules is the directory that contains all the packages we just downloaded, along with their dependencies. The package-lock.json file contains all the version numbers and hashes of all the downloaded packages. Now that we have seen how the packages get downloaded, we’ll have a deeper look at which of them are specific to Gutenberg. The WordPress packages are located in node_modules/@wordpress/<package-name> at the root of the wordpress-develop directory. So if you want to browse the source code, this is where to look. block: Exposes the API to interact with blocks: registration, settings, validation, saving, etc. block-library: Registers the Core blocks that ship with WordPress 5.0. If you want to know more about how blocks work, this is the place to look. components: Generic React components for building user interfaces. Examples are buttons, drop downs, date pickers, radio controls, checkboxes, etc. compose: Higher Order Components that add basic features like unique instance identifiers to components. core-data: Helper library to retrieve or change data in the database via the WordPress Rest API. Build upon the data package. data: The data handling API, build upon Redux. Includes client side storage mechanisms to reduce the number of needed requests to the REST API endpoints. edit-post: The editor application itself. For internal use only. editor: Components that are specific to the block editor. Examples are the rich text editable field, the alignment toolbar, the inspector (sidebar) control, etc. element: An abstraction layer on top of React. You’ll use this package to create your own custom React components. plugins: Exposes the API for Gutenberg plugins. Mostly used in combination with custom sidebars that are added to the editor. blocks.php contains functions for registering blocks, parsing block content, and rendering blocks on the front end. The blocks directory contains the registration code and render callbacks for some of the Core blocks that require PHP to work. The endpoints specific to Gutenberg have been moved to the rest-api directory. In the current state, you do not yet have a working piece of software. The missing step is building the application. To do so, run npm run grunt build at the root of wordpress-develop. This will add a build directory with build versions of the source code. As a consequence, there needs to be a build process. The act of transforming source code from one language into its equivalent in another language is called transpiling. There are other tasks done during the build process, but this is the most important one. The wp-includes/script-loader.php file contains a wp_default_packages_scripts() function which registers all these scripts in PHP. This allows the build scripts to be added as dependencies via PHP, both in Core, and for custom Gutenberg blocks in plugins and themes. 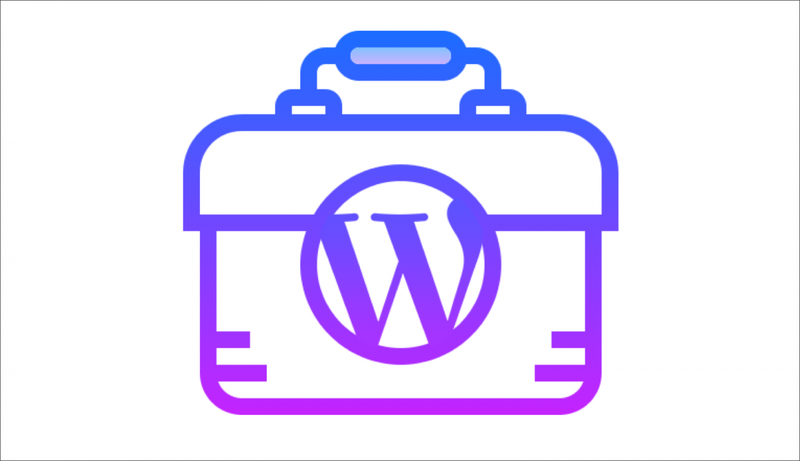 Now all you need to do is create a wp-config.php file, and you’ll be able to run WordPress 5.0 out of the build directory. 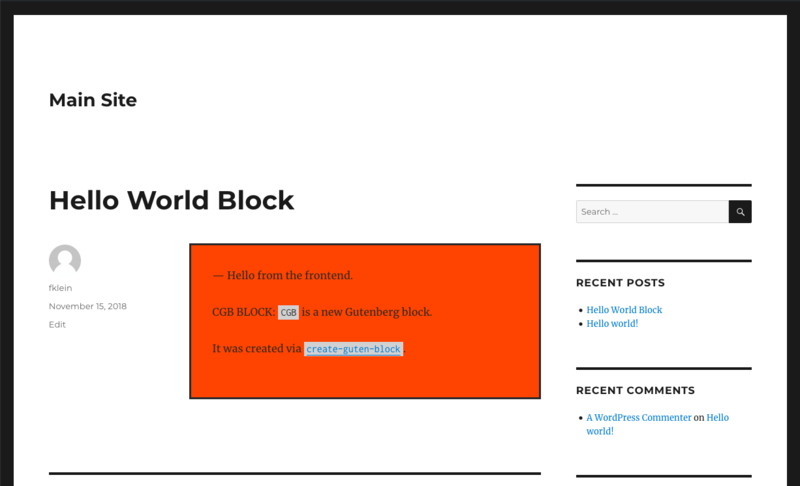 If you feel lost among all the development setup needed to create a Gutenberg block, then this guide is for you. 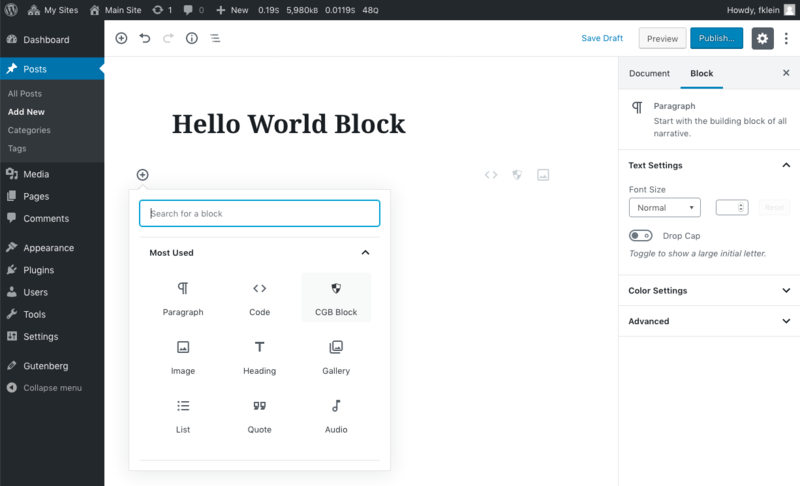 We’ll look in detail at how Create Guten Block can be used to simplify Gutenberg block development. We’ll start by looking at the technical implementation of the tool. Afterwards we’ll use it to create and then customise a sample Gutenberg block. You do not need to have any knowledge of Gutenberg development to get started. The tutorial assumes that you are on MacOS X, but it also works with minor changes on Windows and Linux. What Is Create Guten Block? Create Guten Block is a project generator. Its focus is on generating a WordPress plugin with all the files needed for a Gutenberg block. This means that whenever you want to create a block, you do not need to do all of the set up yourself. Instead you run a single command, and all the source files and configuration setup is done for you. The tool is open source, and is maintained by Ahmad Awais. How Does Create Guten Block Work? Create Guten Block is a command line tool. This means that you interact with the tool by entering commands into a Terminal window. There are only a couple of simple commands you need to know. However if you feel uneasy using the command line, I recommend reading this introduction post. To do so, developers can interact with this repository via the npm command line tool. As an example running npm install <package-name> will download the requested package to from the repository to your local machine. 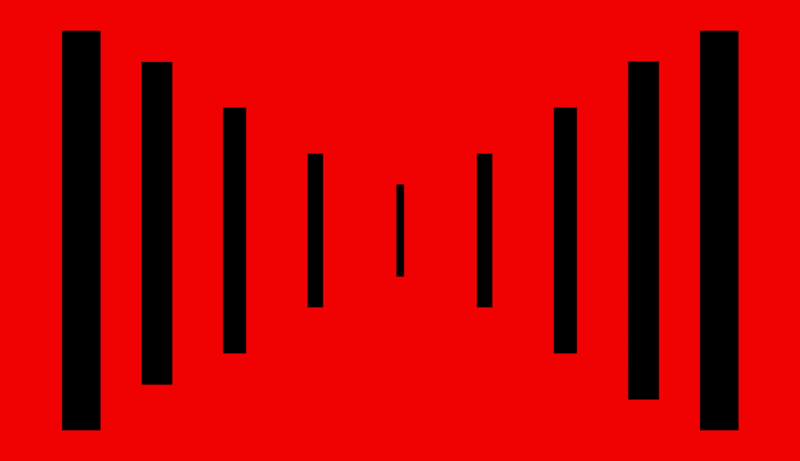 npx is a companion to npm, focussed on command line applications and other executables. It downloads and then executes packages from the NPM Registry. As Create Guten Block relies on Node and NPM, make sure that you have these applications downloaded and installed on your machine. First we need to verify whether Node and NPM are installed correctly. Open a terminal window and type node -v. This will show the installed version of Node. It needs to be higher than version 8. Repeat the same for NPM with npm -v. The requirement here is higher than version 5.3. 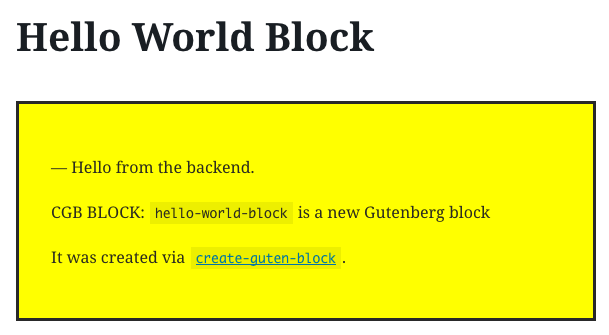 Now that you are all set, we can start creating a plugin for a Gutenberg block. Navigate to the wp-content/plugins directory of your local development install. Then run npx create-guten-block hello-world-block. Once the command has finished running, there will be a new directory called hello-world-block in the plugins directory. The block has two different views for the back end and the front end. The editor view of the Hello World block. The front end view of the Hello World block. Let’s take a look at what these files do. .editorconfig contains configuration for the code editor that you are using. You can read more about what this file does at EditorConfig.org. .gitignore is a starting point for which files to ignore from Git source control. The plugin.php file contains the plugin headers, and bootstraps the PHP code of the block by including the src/init.php file. common.scss is a file for sharing Sass variables between the other SCSS files in the project. block/style.scss contains the block styles for both the front end and the back end. block/editor.scss contains additional styles for the back end view of the block. blocks.editor.build.css contains the compiled and minified Sass from the block editor styles. 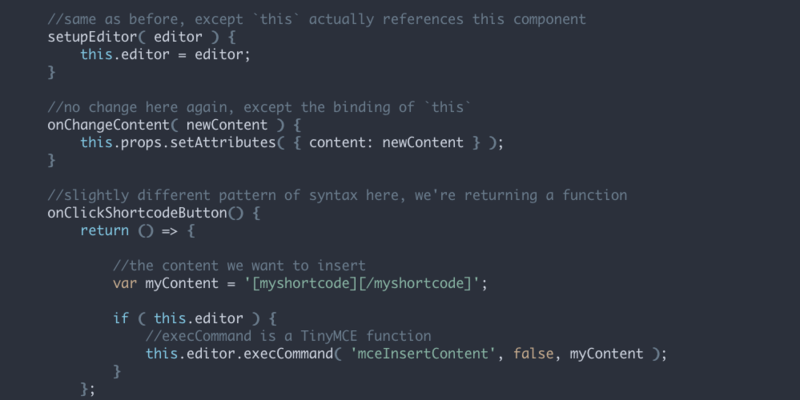 blocks.style.build.css contains the compiled and minified Sass from the block editor styles. The package.json file contains the list of NPM packages used by the project. It also registers the scripts that can be run on local via NPM. The node_modules directory contains the source code of all the NPM packages used by the project. These files were downloaded from the NPM directory during the creation process of the plugin. Let’s modify the boilerplate code to see how Create Guten Block is used during development. To do so, you need to switch into the hello-world-block directory, and run npm run start. A screenshot of the Terminal with the development mode running. When you now reload the Edit Post screen of the the Hello World post we created earlier, you’ll see that the background of the block has changed. A view of the modified Hello Word block in the editor. The React code generated in this mode is not optimised for production. Therefore if you run Gutenberg in development mode, you’ll be able to see error messages in the browser console when the block is broken. An example of React errors displayed during development. 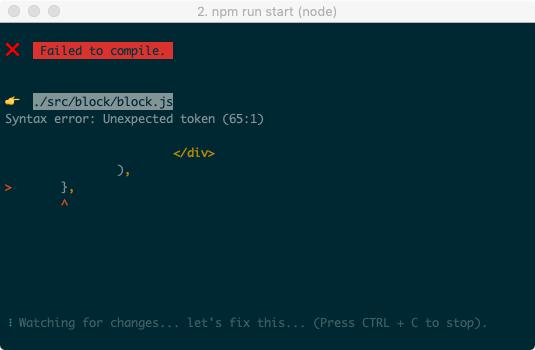 Once your block is ready, and you want to use it on a production website, you can run npm run build. A screenshot of the Terminal after the production files have been build. If you have gotten this far, then congratulations for completing the tutorial! You now should be ready to start building your own blocks. If you have any questions or suggestions, please let me know. With the WordPress 5.0 release date fast approaching, the developer community is looking for instructions on how to learn Gutenberg development. I’ve been using Gutenberg on production projects since version 2.5.0, or April 2018. To prepare for my first Gutenberg project, I’ve used the exact steps I’ll outline below. Other colleagues at Human Made have followed a similar path, so this is a proven approach for learning to develop Gutenberg blocks. This step may sound obvious, but as developers, we use WordPress differently than editorial users. Much of the writing we do is not done in WordPress, and we therefore lack the necessary experience of how writers use the tool. Designing custom editing experiences is a key part of client projects. In order to implement the best solution for an editorial problem, you need to familiarise yourself with Gutenberg’s design philosophy, both in theory, and in practice. So start doing more of your writing with WordPress. This will give you a better feeling for the user flow of Gutenberg, and get you familiar with its user interface. 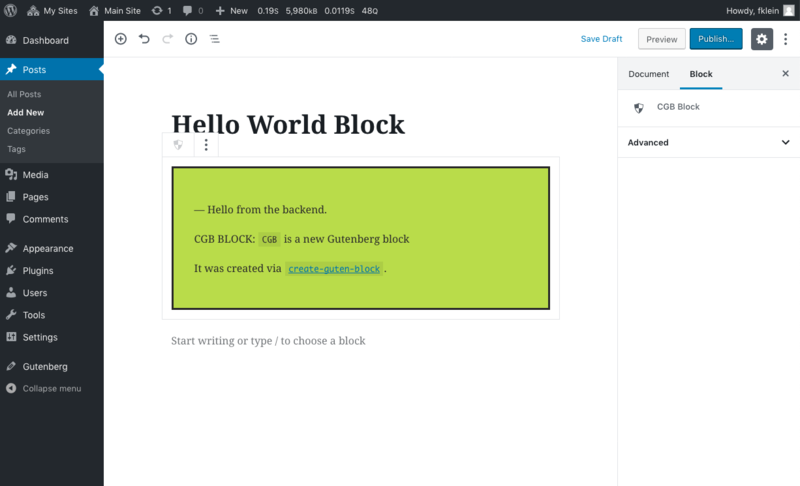 A useful tool is the Block Unit Test for Gutenberg plugin, which creates a page with all default blocks. It provides a good overview, and is a great place to start exploring from. Make sure that you play around with each block, to see what options are available, what possible use cases there could be, etc. A second step is to adapt the CSS styles of an existing WordPress theme for Gutenberg. This is a good way to get started with development tasks using existing skills. Just pick a random theme, install the Block Unit Test plugin, and get busy coding. Gutenberg includes default styles for each block, so start with looking at these styles. Investigate how you can override or remove these default styles, and experiment with different approaches. Gutenberg also offers a number of optional theme features. Add support for these features to the theme, and implement the necessary styling to make them fit with the theme’s design. 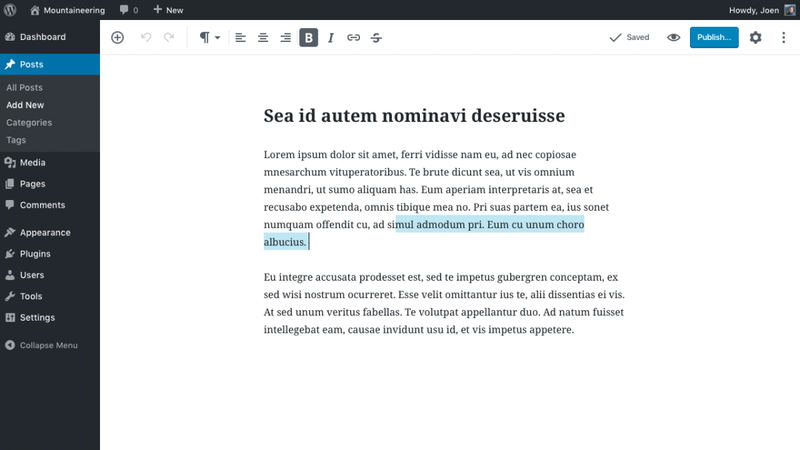 Additionally, look into writing an editor stylesheet for Gutenberg. Try and replicate the front end design as good as possible in the editor. This is a good opportunity to familiarise yourself with the markup and class structure of the blocks in the back end, which differs from the front end. Zac Gordon offers a Gutenberg Theme Development Course, for those that want to dive deeper into theme related Gutenberg subjects. If you are primarily a theme developer, or struggle to figure out things in your own, this is a good investment. Until this point, we have only interacted with the blocks that Gutenberg offers out of the box. Now we’ll take the first step towards building our own Gutenberg blocks. PonyFoo has a good overview of all the syntax changes and features in ES6, as well as a series of articles detailing certain aspects. Another good source is Wes Bos’ article series on ES6. These articles should be sufficient to give you a solid base for using ES6. If you prefer to learn via video, Wes Bos has an extensive video course called ES6 for Everyone. This course goes way beyond what you would need to be familiar with Gutenberg. But depending on how you learn, it’s worth the investment, as it guides you through the learning process. This makes for a less steep learning curve compared to reading loosely related articles, and figuring out your own exercises. To make things more complicated, Gutenberg adds its own abstraction layer over React. This means that the way to interact with this library is slightly different in Gutenberg blocks compared to plain React projects. But React knowledge makes Gutenberg’s code base a lot less opaque. There is a certain logic to writing React components, and a number of recurring patterns in React code. Being familiar with these before adding the particulars of Gutenberg will make the learning curve less steep. 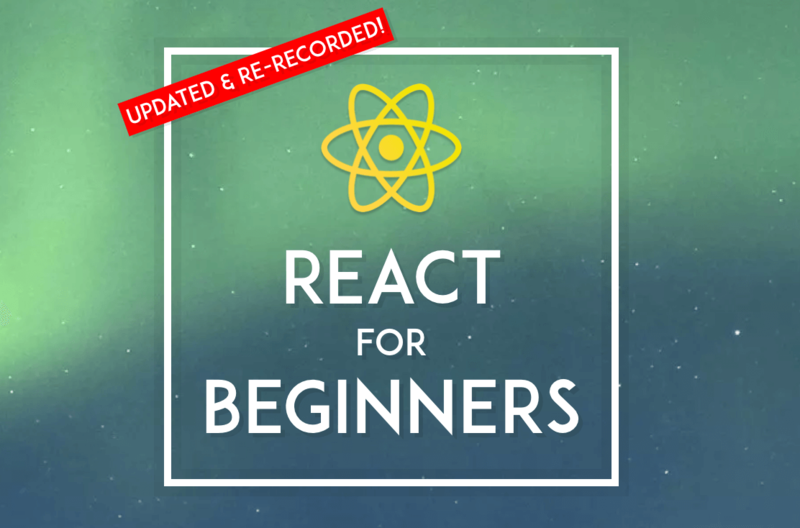 The best way to learn React is Wes Bos’ React for Beginners video course. It will guide you step by step through building a React project from scratch, and will give you the necessary programming experience to feel at ease. A viable alternative is the beginner tutorial in the React documentation. Even if you do the video course mentioned above, you will need to consult the React documentation frequently, so make sure to bookmark the link. 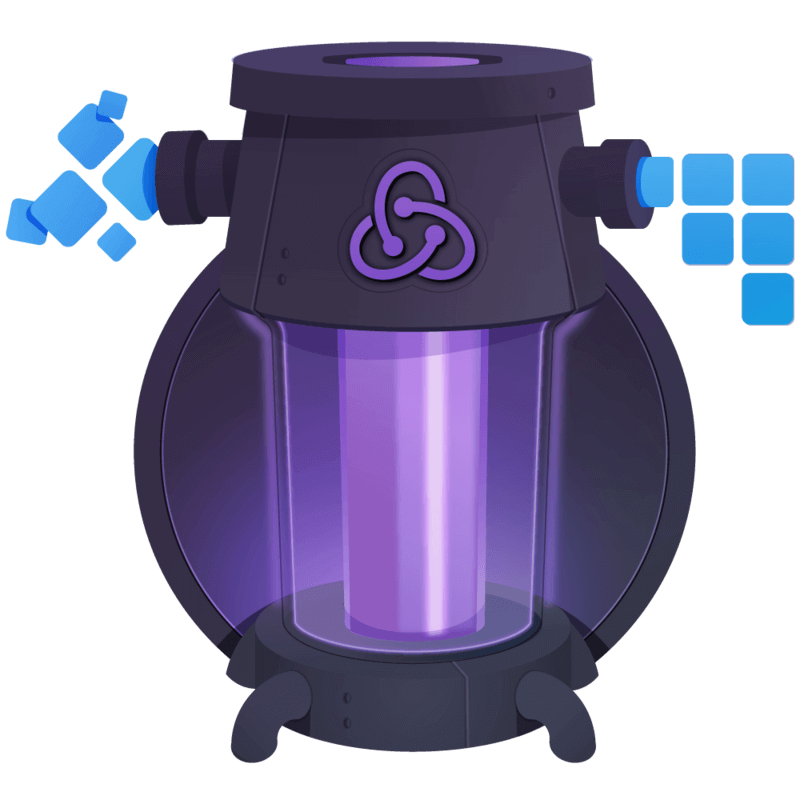 Redux is the client side data handling layer used by Gutenberg. Again, as with React, Gutenberg adds its own abstraction layer on top. At this point, learning Redux is not required. You will not need to use it until you start developing more complex Gutenberg blocks. However I consider that Redux is such an ingrained part of the React ecosystem, that it’s worth being familiar with its concept. There is a free Redux course available on Egghead. The course is taught by Dan Abramov, creator of Redux, so you’ll be learning from the master himself. The course is only of value of you follow along with what Dan types. This way you’ll be writing your own implementation of Redux, and you’ll discover that in its most basic form, it’s far from being black magic. With all this knowledge, you’ll be now more than ready to dive into Gutenberg itself. The best way to do this is to complete the Gutenberg Development Course by Zac Gordon. This course will teach you everything you need to know to get started developing your own Gutenberg blocks. The architecture of Gutenberg: Covers the file structure, the React and Redux abstraction layers, as well as important helper libraries. Introduction to blocks: The basic architecture of a Gutenberg block, as well as how it handles its style and script dependencies. Registering blocks: The starting point for creating custom blocks. Covers how attributes are saved (user data added to the block), as well as the edit and front end views. Example block: Practical exercises for building blocks. Includes a development boilerplate, enabling you start writing code right away. Along the way you’ll learn to implement different user interface elements (block form fields, toolbars, and sidebars), and different types of blocks (JS rendered and PHP rendered). The course website includes a section with sample videos, so that you can get an idea of the quality of the videos included in the course. Zac is currently working on a follow up course covering Advanced Gutenberg Development topics, which will be released at end of the year. So if you liked the introductory course, it might be a good idea to sign up for this. No tutorial or course can replace the experience gathered during real world development tasks. If you have followed the roadmap outlined in this post, you are well prepared for using Gutenberg in client or personal projects. You will run into issues when exploring Gutenberg’s possibilities. But the structure of the learning process is set up in a way that you are well equipped to handle these temporary roadblocks.